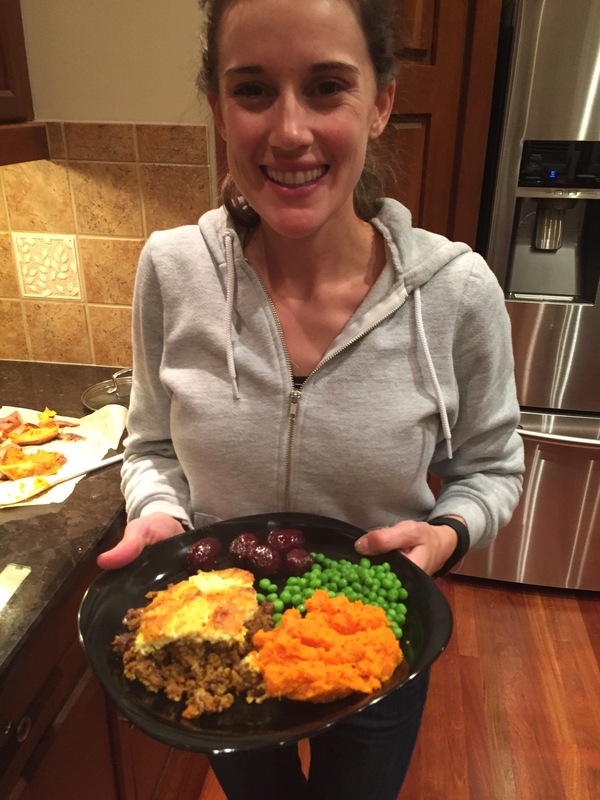 A Traditional South African dish, slightly modified to reduce the red meat and to spice it up a little. 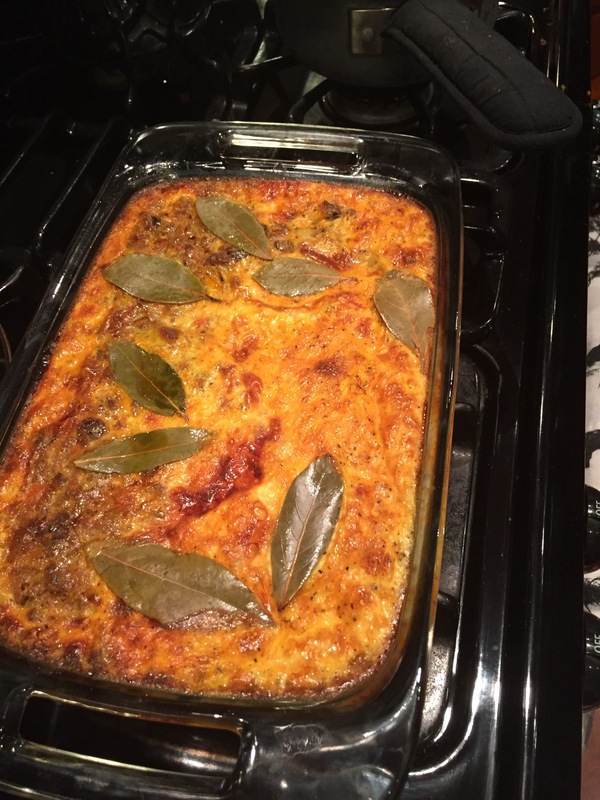 It is rumored that the Cape Dutch people used to make bobotie because the curry spices were the only thing to cover the taste of their meat going rancid and the eggs on top would help ‘extend’ the dish by adding more nutrition for a small cost. Saute onions and carrots in a large pot over medium heat with a small amount of butter or cooking oil until tender and fragrant- approximately 7-10 minutes. Add ground meats and garlic to pot, mixing well over medium heat until fully cooked. Pour off excess water or fat once cooked. Once the meat mixture is fully cooked add all spices, jam, chutney and raisins to pot. Simmer on low-medium heat for 10 minutes. Let the dish cool and sit for 5 minutes before cutting and serving. Soak raisins in water for 10 minutes to soften if they are firm. 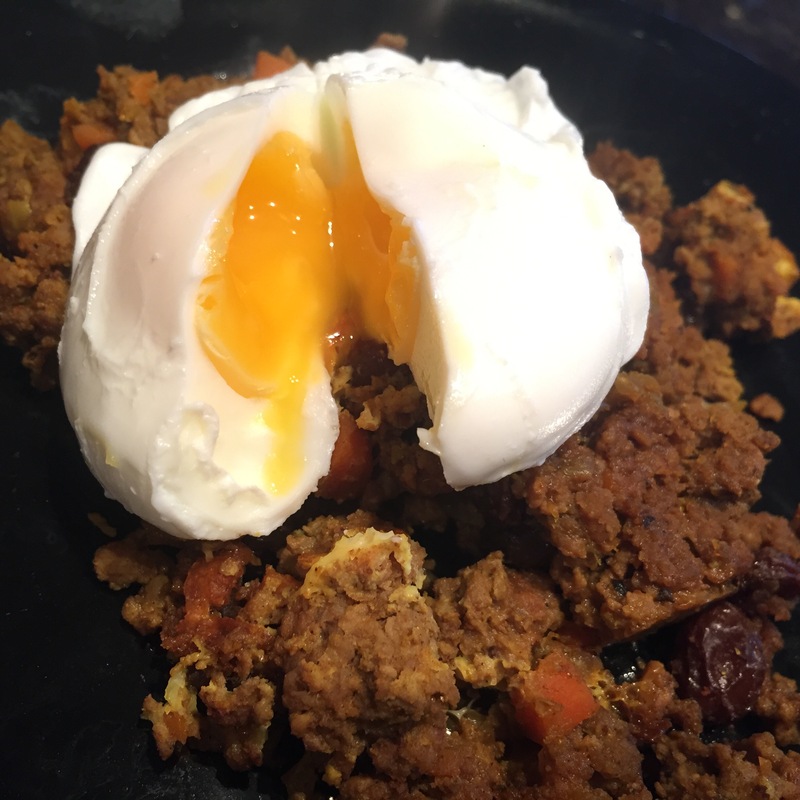 Try your leftovers with poached eggs for breakfast! Add 1/2 teaspoon of panchpuran (ground) to seasoned meat. Add 1/4 jeera to seasoned meat.